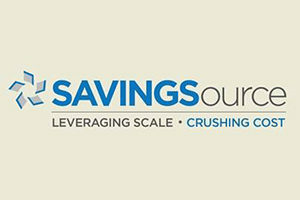 Here at SAVINGSource, our goal is to leverage scale and crush costs to boost your bottom line. Each and every day, we strive to do more for our retailers and we’re constantly expanding our program’s value. In 2016 alone, we grew to over 45+ service areas and counting — and the New Year is just getting started! This year, we’re excited to announce partnerships with four new vendors. Register today and stop by SAVINGSource Booth #5033 to see how they can boost your business. Our new fleet purchase program means fantastic savings for Ace retailers on Ford trucks and vans. The program delivers deep discounts, with up to $5,500 below factory invoice on 2017 models. Learn more from Ford reps, who will be at our spring show booth. We’ve struck a deal with UPS for discounted pricing on domestic shipping, with the biggest savings possible on popular box and envelope sizes. Come to the show to sign up and start shipping with UPS at Ace’s reduced corporate rates. You’ll save big on all Konica Minolta printing and copying products — purchase and lease — through our group purchasing organization alliance. This spring at the show, meet with reps to discuss your printing needs and options. We’ve pre-negotiated state-by-state labor rates for HVAC, plumbing and electrical services, with guaranteed QSI-level expertise and technology. Their data-driven approach to cost control means they’ll diagnose and fix problems at predetermined amounts to keep costs from escalating beyond the initial estimate and keep billable hours to a minimum. Visit QSI at the show to see how you can simplify your maintenance needs and get a single point of control to easily keep your business up and running. Our SAVINGSource program also offers numerous discounts that extend competitive pricing on the most popular products, such as paper. You won’t be able to pass up markdowns on core SKUs — an amazing average of 59 percent off. Retailers who buy through Office Depot reduce their total spending by an average of 30 percent or more. We’ve even negotiated FREE shipping with absolutely no purchase minimum, so you can order exactly what you need, right when you need it — all from the convenience of your office! Visit Office Depot at the show to sign up for your free online ordering account and in-store purchase card. They’ll even have office furniture displays and product information to help you optimize your office and break room expenses. Register today for the 2017 Ace Spring Convention & Exhibits and get started on your savings. Ace reps at Booth #5033 can help you get started with SAVINGSource and make sure your current contracts include our latest discounts. Plus, you can sign up to win $5,000 in credits! Vendors also will have exciting giveaways and raffles. So bring SAVINGSource your toughest challenge and we’ll work with you to develop the very best savings opportunities for your store!